My motorcycle has battle wounds. Scars it wears. Some with pride. Some with shame. It’s not perfect. It’s a lot like me. The damage I hate most is from my keys. The ring of damage that comes from a key chain dangling on a motorcycle. 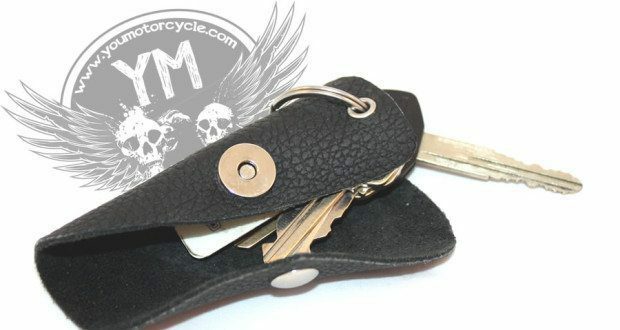 Kodakey is a piece of leather designed to work with your keychain to protect your bike from the rest of your keys and your keychain. It’s a really simple but effective design. When you get yours you’ll kick yourself for not thinking of it yourself sooner. The product was designed by Koda Matiaco, a Graduate Student from Brigham Young University as part of a class project. It’s priced at $15 USD with free shipping, making it the most cost-efficient way of keeping your motorcycle safe. I found that the keychain took about two days to get used to. After that, using it and working with it became habitual and gave me good piece of mind. It won’t make the existing damage leave my bike, but at least it won’t get any worse. YouMotorcycle: Why did you come up with Kodakey? Koda: I came up with the idea because I had two problems. (1) my keys kept scratching around the ignition and gas tank. 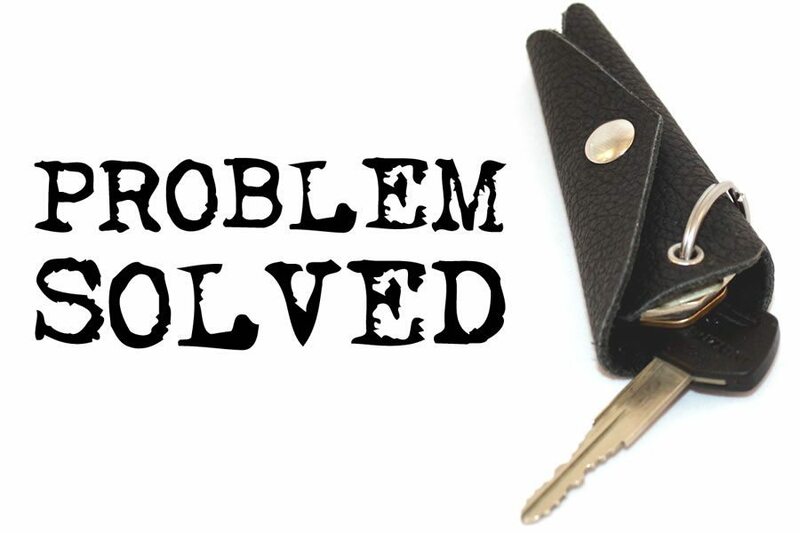 (2) when I took the keys off of the key ring to prevent scratches, I kept getting locked out of my house. I searched for products to fix this, but I couldn’t find anything I was looking for. Instead I went to a leather shop and experimented with leather, magnets, and rivets to come up with the patented KodaKey. 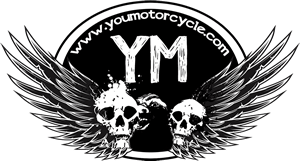 YouMotorcycle: How did you go about finding manufacturers? Koda: I found manufactures easily around Utah. I had recently purchased a thread wallet on kickstarter and met the makers in person at BYU. I told them about my idea and asked which manufacturers they used for their idea. They happily helped me out with phone numbers of fabric manufacturers as well as with tips for my new product. YouMotorcycle: How long did it take you to go from idea to planning to production to market? Koda: I’ve had this idea for over 2 years. I first tried to solve my problem with an ipod case cover, but found it to be annoying and not a complete fix to the issue. I showed my brother my fix and he agreed it was annoying and he probably wouldn’t have used it. I then brainstormed over many iterations of the product for the next 6 months until my brother said, “wow, that’s kinda cool! Can I have one?” My ultimate design (which I am still improving) has genuine leather for added durability, magnetic snaps for easy access to keys, and an additional warrantee for factory flaws. These KodaKeys are top notch! YouMotorcycle: Any other plans or projects for new products for motorcyclists in the works? Koda: As the KodaKey has been a success since day one, I have gained a lot of experience in innovation, development, and marketing to make more ideas come to life. I am currently trying to figure out what annoys motorcycle riders or what riders really want when they ride. So if you have ideas, such as a Bluetooth speedometer in-helmet display, feel free to visit my website and tell me what you really want. Visit www.kodakey.com to find out more.